No Man’s Sky, Hello Games’ Massive Online Math Simulation, is really good at evoking the weird, psychedelic vibes of classic science fiction, generating fascinating worlds and creatures to marvel at or shamelessly exploit, and, most importantly, making us feel puny and insignificant. One of the best parts of this vast, uncaring and strangely pastel galaxy is that all those fuzzy synths and geometrically-upsetting aliens inspire the kind of sweeping, slightly self-indulgent thoughts that sci-fi fans can’t get enough of. If you like confronting the stark reality of your impermanence in the face of unrelenting time and your impossible smallness in the grand scheme of a chaotic and random universe… here’s some other sci-fi, or something. I have to lie down. 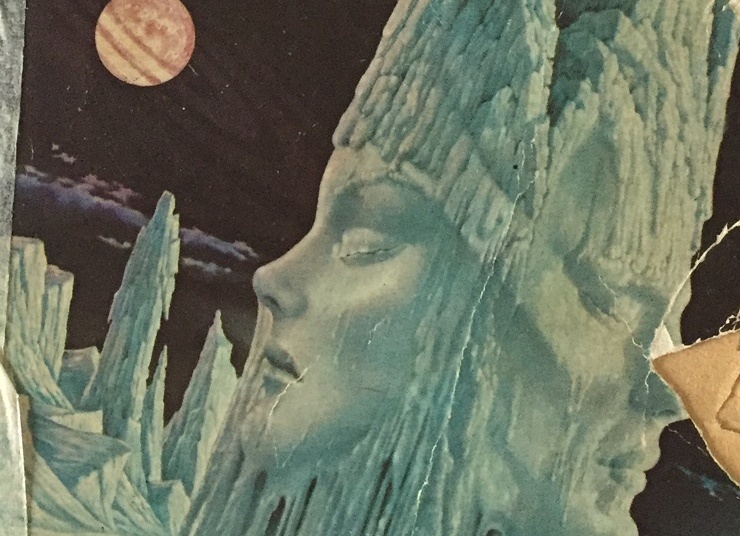 Ursula K. Le Guin is one of the most influential science fiction writers ever, and she’s required reading for anyone who gets all tingly thinking about life on other worlds. Her works use sci-fi as a means of exploring life that functions totally differently from our own, presenting hypothetical alternatives to how societies could develop and in the process providing an often radical new perspective on how we live and what that suggests. The Left Hand of Darkness follows Genly Ai when he is sent on a diplomatic mission to the world Gethan. Gethan’s inhabitants are ambisexual, and their society does not have human gender roles. The book follows Ai’s attempts to understand the Gethan way of life and convince them to join an alliance. If you’ve wondered how the aliens of No Man’s Sky might live, The Left Hand of Darkness presents one fascinating possibility. Surprisingly spry 200 year-old Louis Gridley Wu is offered a spot on a voyage outside of known space to explore an ancient alien superstructure called a ringworld. He agrees mostly because he’s bored. Inevitably, the crew’s ship crash lands on the ringworld and Louis, the cat-alien “Speaks-to-Animals,” and young woman Teela Brown have to figure out a way off ringworld, in the process confronting its inhabitants and history. Sound familiar? Ringworld was written in 1970, and included a lot of concepts that have become sci-fi standards. The ringworld is basically a Halo. The novel also spawned a bunch of sequels and prequels, comic books, ill-fated attempts at TV adaptations and weird ‘90s adventure games, so it’s got all the hallmarks of a classic. 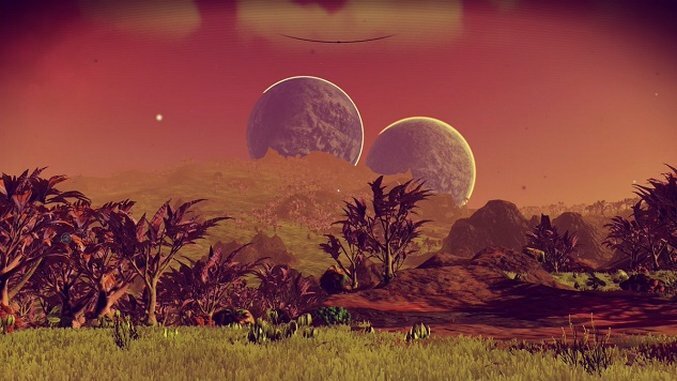 Besides, No Man’s Sky is about a bored person wandering the universe, too. There are several reasons why Albert Camus’ meditation on absurdism belongs on this list. First of all, the essay recounts the classic Greek myth of Sisyphus, who is doomed to forever push a boulder up a hill only to have it fall back down. Even worse, Camus claims that the way for Sisyphus to be happy is to start to like it. To Camus, an absurd life requires revolt. For our purposes, that can mean an absurd game requires making your own fun. If you haven’t reached No Man’s Sky endings, then spoilers: they ain’t great. No Man’s Sky isn’t about finding a hidden meaning somewhere in the stars; it’s about learning to love pushing the boulder, even though you’re probably going to see the same boulder on the next planet, just with a different color. I think that metaphor just got away from me. Sebastián Cordero’s 2013 sci-fi drama seems slept on, which is a shame because its stripped-down scope and found-footage sensibilities give it a (ahem) down-to-earth quality that makes the tension surrounding the protagonists all the more immediate and uncomfortable. 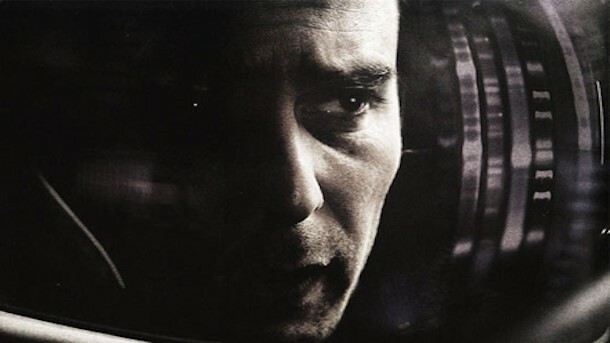 Europa Report follows the crew of the first manned mission to Europa, one of Saturn’s moons. Because this is sci-fi, there are technical problems which disable communications and make leaving Europa impossible. As crew members fall victim to increasingly mysterious accidents, it becomes apparent that the crew is not alone. If you’ve never suddenly had the suspicion that something in No Man’s Sky was watching you, Europa Report will help you get there. You’ll also probably be able to empathize with how the poor Europa crew members just cannot catch a break, especially when it comes to repairing this goddamn ship. Duncan Jones’ 2009 indie darling has attained a revered status among fans of contemporary sci-fi media, and for good reason. The film follows Sam Bell, the sole operator of an otherwise fully automated mining facility on—you guessed it—the moon. Three weeks before the end of his three-year contract, Sam sees something strange on the lunar horizon and then awakens in an infirmary with an AI program telling him he can’t leave. Moon is quintessential speculative sci-fi in the best way. Sam’s lonely life on the moon quickly becomes something much more sinister when he uncovers a secret that has consequences for far more people than just him and learns that his “three-year contract” may mean something different than he thought. Just what were all those abandoned buildings in No Man’s Sky for, anyway? Andrei Tarkovsky’s Solaris is a weird, artistic Soviet sci-fi psychological drama filmed in 1972. That should be enough to sell any fan of No Man’s Sky, but it also happens to be considered one of the best sci-fi movies ever made. In Solaris, a scientific mission on the space station Solaris has come to a halt because its small crew have each undergone their own separate emotional breakdowns. Psychologist Kris Kelvin (sci-fi names) is sent to Solaris to discover what’s happened and get the mission back on track. As you can probably guess, things get bad, and weird. Solaris is a perfect recommendation for anyone inspired by No Man’s Sky because it speculates as to what going to other stars and interacting with lifeforms we can’t understand or communicate with might do to us. When you’re out discovering endless new worlds, what do those worlds discover about you?